You can pretty much rest assured that your public health intervention is weak if the food industry thinks it's a great idea and throws its support or backing behind it. A few weeks ago I was part of a round table discussion on public private partnerships between the food industry and public health. With me on the panel was Mr. Richard Ellis who in turn is McDonald's Canada's Senior VP of Communications, Public Affairs and Corporate Social Responsibility. I've embedded his few minute speech below, but for me his highlights were the public health interventions he reports McDonald's strongly supports that presumably are also proof positive for him that food industry partnerships serve the public good "in pursuit of a common goal". The Building Trust Initiative as put forth by Canada's Institutes of Health Research was straightforward. Their aim was to literally build "trust" between the public health sector and the private sector. I did not participate in a primary workshop, but I did attend a brief conference based session and can tell you there was a clear and wholly unhidden agenda. The Building Trust workshops weren't designed to suss out whether trust was deserved or useful to public health, but rather were workshops truly designed to find means to inspire and cultivate trust. Mr. Ellis, in his presentation, explained what was valuable to him personally consequent to the Building Trust workshops. He reports having been able to, "build a lot of great relationships", and reported that "when we meet each other as individuals we look beyond the brand and we see that we're all caring people who want to facilitate some broader system change". And those relationships are precisely what's in it for the food industry. By building personal relationships suddenly when faced with industry unfriendly considerations public health folks may find it more difficult to be vocal which in turn benefits industry and may help to protect sales. I experienced this phenomenon personally and I blogged about it regarding a meeting I once had with David Moran, a very nice and seemingly sincere man who at the time was also Coca-Cola Canada's Director of Public Relations. When it was launched I refered to the %DV program as, "the most useless nutrition campaign in history". Briefly the campaign promotes nutritionism. It explicitly encourages Canadians to look at nutrition facts panels and decide if a food is a good choice or not on the basis of what percentage of a very limited number of nutrients are in a food. The campaign undermines efforts at more rigorous nutrition fact panel reform and plays right into a food industry that likes to sell food on the basis of health halos which suggest because of the presence or absence of a particular nutrient suddenly the food is a healthful choice. "provide the leadership to act as a catalyst for change in Canada. We will work directly with parents, business, health industry leaders, governments and non-governmental organizations to raise awareness, pursue research, collaborate to develop solutions and better public policy." And while the project is young their recent response to Ontario's Healthy Kids Working Group suggests a very industry friendly agenda. 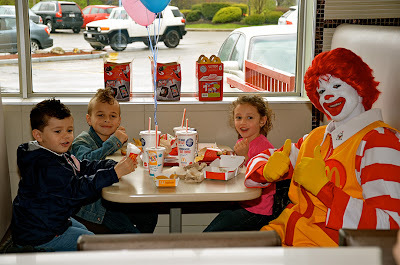 Included in their response is their assertion that the medical literature reports providing children with health education causes harm, that the panel's concerns regarding the rising weights of children is unfounded, that the report's emphasis on the food industry's marketing to children was overdone, and that the time to act is not now. Simply put the Informed Dining program is a farce that provides people with permission to eat out. It involves restaurants signing on to hand out detailed nutritional information to consumers who ask (or hanging up large detailed posters) and currently the National Restaurant Association is using the existence of this program as a means to try to prevent the legislation of calorie postings on menu boards. The fact is no one uses pamphlets. Really. Pretty much no one. One study conducted in 2011 tracked 4,311 consecutive patrons of McDonald's, Burger King, Au Bon Pain and Starbucks where information pamphlets, kiosks and posters were available. 6 customers out of 4,311 used them. Canadians eat out far too often. Providing them with permission to do so and ensuring they don't in fact utilize information is for the food industry what Informed Dining is all about - that and forestalling the legislated posting of menu board calories. There's no denying that Ronald McDonald House provides wonderful services to those who use it. 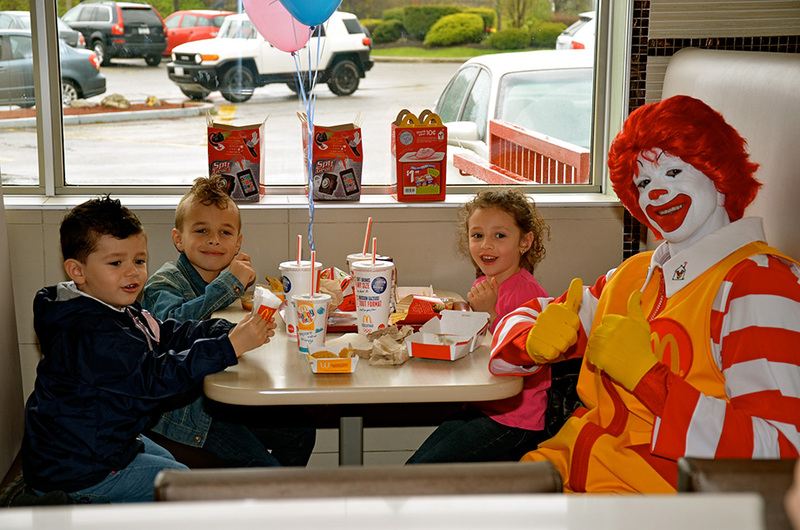 There's also no denying that it serves McDonald's as a tremendous goodwill generator and more to the point of this piece as a means to market food to children, to introduce children to the good deeds of McDonald's, to provide a reason to eat at McDonald's, and to create incredible and fierce brand loyalty. Looking at these five reported interventions as examples - sometimes food industry public health partnerships will involve programs that directly increase sales or improve brand loyalty (Ronald McDonald House), sometimes partnerships will put a public face on a corporate entity and in turn may well soften criticisms (Building Trust Initiative), sometimes partnerships will promote messages which in turn might serve to help to protect sales (The Sandbox Project), sometimes partnerships will serve to deflect potentially industry negative legislative efforts (Informed Dining), and sometimes partnerships will serve to or to foment industry friendly confusion or obfuscation (%DV). And I want to be clear here. I don't think publicly funded corporations are evil. To be evil would require a corporation to have the luxury of pursuing ideals regardless of balance sheet impacts and that's a luxury corporations simply do not have. If profits and health collide I've got great faith that the food industry will lend a hand. At the end of the day here's a truth. A public corporation cannot invest in a program or intervention that in turn would ultimately serve to decrease sales more than not being involved in that same intervention. Doing so would not only be an affront to their shareholders, it'd be grounds for their lawsuits. Mr. Ellis seems like a genuinely nice man with real concerns for the well being of others. McDonald's seems like a genuinely profitable publicly funded corporation with real concerns for the well being of its balance sheet. Don't confuse one for the other.